Arrival at Entebbe International Airport. You will be picked by your guide and taken to your hotel in Kampala. After breakfast, you will start off your journey early morning and drive northwest through the famous battle zone of the Luwero Triangle. Have a stop at Ziwa Rhino Sanctuary. Following extinction of Uganda’s Rhinos in the early 1980s during the period of civil unrest and heavy poaching, a Sanctuary has now been established to breed Black and White Rhinos, and restore the Rhino populations in Uganda’s protected areas in a later stage. You will then continue to Kitgum where you will spend the night. Early in the morning you will drive to Kidepo Valley National Park. Kidepo Valley, though the remotest National Park in Uganda, is rated among Africa’s finest wildernesses and is indeed a sight to reckon with. Located at the far Northern border with Sudan, Kidepo Valley National Park in addition to its wildlife, boasts of East Africa’s rarest and most sought-after birds. 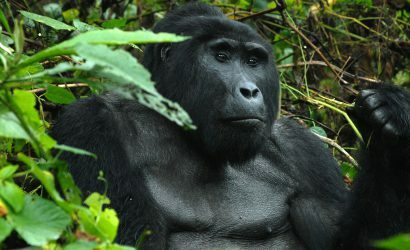 Although the distance to Kidepo Valley National Park is long and the road network is poor, if you are a lover of nature you will definitely be blown away by the stunning scenery along the way and you will also have a chance to meet the local communities of the Acholi and Karimajong and have a glimpse of their culture. Take a game drive along the Narus Valley. Keep your eyes peeled for Buffaloes, Giraffes, Zebras, Elands, Oribis and Elephants – and even the odd Jackal. Your guide may even be able to locate Lions, sunbathing atop rocks. Retire for the night thereafter. Depart on a morning game drive to the hot springs via the palm tree lined Kidepo River. Search for Ostriches and Leopards and Tortoises along the way. After lunch, visit the Lorokul Cultural Group and explore the fascinating, ancient culture of the Karamojong. Visit traditional homesteads, sample local dishes and hear stories of the folklore of this remote tribe. After breakfast you will set off for Murchison Falls National Park via Gulu town. You will drive through the relatively flat country side and enjoy beautiful views of the landscape dotted with artistic round huts. After lunch, you will proceed to Murchison Falls National Park. The Park is the largest in Uganda and is drained and divided by the majestic River Nile. 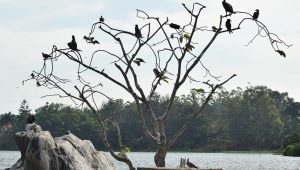 It is home to 76 mammal species and 451 recorded birds’ species. You will have your first game drive on your way into the Park. Proceed for a game drive across Savannah, Borassus Palm Forest and Grassland. Drive in the open expanse in search for Lions, Leopard, Hyena, Buffalo, Elephant, Jackson Hartebeest, Oribi, Waterbucks, Uganda Kobs, and enjoy spotting various bird species such as the Secretary Bird, Black Chested Snake Eagle, Tawny and Marshal Eagles Carmine and Swallow Tailed Bee-Eaters, and many more. 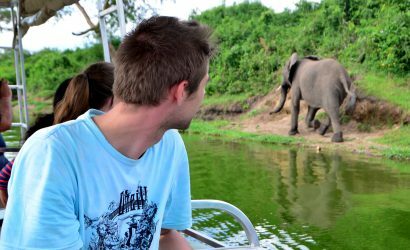 In the afternoon, you will go for a boat ride to Murchison Falls whence the park derives its name. Enjoy the sights and sounds of this wonder by taking a hike to the top of the falls. This will present spectacular photo opportunities. After breakfast you will enter the tropical rain forest of Budongo for a guided nature walk. 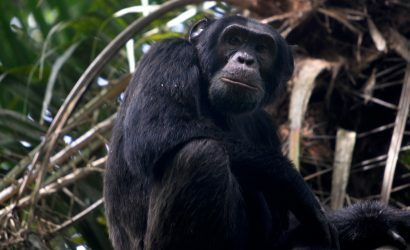 From the forest, there are a number of Chimpanzees as well as other primates. Have lunch and relax as you regain energy for another superb evening; a game drive on the northern banks of the Nile from where you will be able to spot Elephants, Lions, Rothschild’s Giraffes, Cape Buffalos, Waterbucks, Oribi, Bushbucks, Spotted Hyenas, Hartebeests and at times Leopards and Lions. On this day you will depart Murchison Falls National Park for Entebbe airport and catch your flights back home.